Today’s gospel from John is from Holy Thursday and the last supper. In John’s narrative, Jesus has discussed his betrayal, washed his disciples’ feet, talks of his departure and his return to his father. He also assures them he will return to them. As a discourse, it is significant that Jesus began it with the words “I Am”. Seven times he used that phrase in John, but what is significant is that it is from the old testament and the phrase God used to identify himself to the Hebrews. It was a phrase used to identify God to avoid using a name for him. Clearly Jesus was identifying himself and his mission as being from God. The vine and the branches was an understandable way for the disciples to know that the relationship was one where Christ continued to be a part of them and of all the works that they would do. Bearing fruit to their work was important and Jesus himself would tend to the vine getting rid of dead branches and pruning the vine so that it would grow and produce more fruit. The image of the vine emphasizes our connectivity and Jesus presence within us. We are a presence in the world seeking to serve others and bring them to Christ. As a vine is a livimg growing organism, so is the church. It is not something static, something like a picture on a wall but a liviing growing organism. Many figures come out of this story, the vine grower, pruning, the idea of renewal, Chist’s presence in his Word, and in his church, and most importantly our attachment to Christ. Being city dwellers and not all that familiar with farming and vines and such, oftentimes we don’t fully comprehend the richness of the stories and parables of Jesus. But his life and message present to us and continuing on after so many years brings us a faith that gives an insight from our own experience and time, for Christ’s presence is with us now and He and his Spirit act within us today. 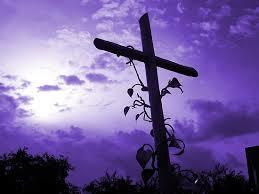 His life, his forgiveness remains constant and is always with us. As long an we remain faithful and part of the connectivity of his church, we remain in him and he in us. Let us love and serve one another so we can serve him. In John’s Gospel Jesus often speaks with “I” messages – I am such and such, usually as a metaphor. We saw last week that he metaphorically described himself as the Good Shepherd, a metaphor that would be part of the every day life of the people he was dealing with. They would have run across shepherds all the time, but in our culture we have probably not run across too many shepherds of late, although most of us know who they were and what they did. Today, Jesus gives another “I” message, and also uses something very familiar to the Galileans of that time, and even two centuries later, which might be more applicable to you and me since we are very much in a wine cultivating county here. Jesus says he is the true vine, an interesting metaphor. But if Jesus is the true vine, what is an untrue vine? If a person were an untrue vine, it would seem to me that they would lead lives that looked righteous and good, but were really not good. If Israel was the untrue vine because it gave all the outward signs of following God and believing in the Scripture, but in the end would not acknowledge Jesus or see Jesus as the Messiah, this might be what Jesus was talking about here. Or not. Let’s look at the extended metaphor a little more closely. Jesus first says that he is a vine, a true vine. He also states that the grower of the vine, the cultivator of the vineyard is God. The vine grows and has to be pruned. God prunes away branches that bear no fruit. What immediately this suggests to me is that if I am bearing no fruit, God will hack away at me to remove those things that are stopping me from bearing fruit. This is a really positive message of love and care. It is God tenderly taking care of us and lifting us up and helping us realize what we need to do to get rid of the distractions in our life that cause us not to bear fruit. Even if we are bearing fruit, we will still have to be pruned in order to make us bear more fruit. We cannot reach perfection in this life, though we can and must try. What does all this pruning and cutting away mean in our lives? How does God prune us? In order to interpret this we need to make sure that we do this in the context of Jesus’ entire message of unconditional love and faithfulness, and knowing his mercy and grace. Jesus says that “Every branch that bears fruit, he prunes to make it bear more fruit.” Does this mean he helps us to see the sins in our life, or God forces us to repent for the sins in our life, or just feel more sorry for what we have done? The word “pruning” in Greek is also the same word as for “cleansing”. And if you notice in the very next line, Jesus told us that “You have already been cleansed by the word I have spoken to you.” Was Jesus contradicting himself? I am going to prune you, clean you, but then he says, you are already pruned or clean! Perhaps this is because it is a steady process – we have been made clean by our baptism. We are clean, innocent, sinless, but as life goes on, we do commit transgressions, things that are unworthy of God or Jesus, things that stop us from growing, and so we have to be pruned, made clean again and forgiven. 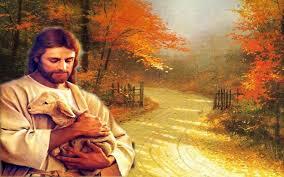 And we know that Jesus is a model of forgiveness, so it should give us great comfort and hope. 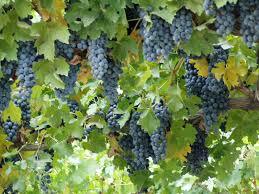 The extended metaphor continues and we need to see ourselves as part of the vine of Jesus, getting sustenance from the vine in order to bear fruit. Those who become dead to the vine, who turn away from Jesus and his words will be cut away from the vine and left to wither and be burned. This is not literal, but indicates that apart from Jesus, their lives will not be fruitful and they will be on their own and godless. I want to say a few words now about “fruit”. What does it mean to bear fruit? Does it mean the eternal goal of being with God after we die? Is being with God the grape, which is rich and ready to be picked? Perhaps. Does it mean learning and applying the Word of God in our lives. Possibly. Does it mean living the kingdom on earth right now – with the two great commandments of loving God and neighbor. Probably. However, to make it simpler and to be able to apply it to our own lives today St. Paul offers us a definition of fruits of the Spirit in Galatians. He says: …the fruit of the Spirit is love, joy, peace, patience, kindness, generosity, faithfulness, gentleness [and] self control. (5:22-23) That list is the list of fruits that we should be developing, growing, producing in our own lives, and Jesus says he is there to help us do just that, pruning away what isn’t that, always with the realization that if we are part of the vine of Jesus, if we are in Jesus, that we are already cleansed and have been pruned, helping us to succeed and bear even more fruit. And I started today with the word “true” when Jesus said “I am the true vine. John’s letter today picks up on the word truth. We can be great fruit and can accomplish what John begins his Epistle with today: …let us love, not in word or speech, but in truth and action. We can’t just talk about love… we really have to take action and show it. If we do this we will truly abide in Christ through the Spirit that continually prunes and cleanses us, just as the early apostles in Acts today built up peace by living in awe of God and being comforted by the Holy Spirit. Let us pray today that we can accept the pruning of God in our lives, recognize that we are already cleansed by God and on our way to bearing the fruits that Paul names, thus bringing about the kingdom of God right here and now. And this is the God News of the allegory of Jesus as the vine! What is a shepherd? As we celebrate Good Shepherd Sunday. I wonder if we fully understand what a shepherd was and what he did. Today after all, our familiarity with farm animals is to go to market and purchase cuts of meat without any real idea of how they got there. We are really no longer an agrarian society. In Jesus time and for centuries before, a shepherd lived and slept in the fields and wilds watching and protecting and doing whatever he needs to keep his sheep safe from man or beasts who had ill intent. The odor of such living with sheep and going unbathed made the shepherds somewhat outcasts. They lived off the land and were often met with suspicion. If they were hired men as shepherds they were even under more suspicion as they were seen to be more concerned about themselves than their sheep. After all, an owner would be looking out carefully for what was his own. In the old testament, we see leaders of Israel compared to both god shepherds and at times to hirelings. Even in he new testament, Jesus talks of his apostles as shepherds of his people. The use is good but as time goes on it becomes difficult at times to understand that Jesu was talking of the call to shepherd not only those who believed and answered, but that they were called to reach out to all who had need to hear his call. His call was and is all inclusive to all men to follow his lead to His Father. The shepherd is called to do what ever needs to be done. 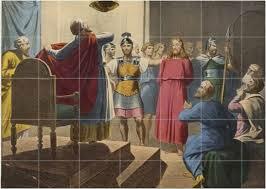 Jesus condemned the religious leaders of his time for setting themselves apart and over their flock. Their shepherding was for themselves and not for God. That is the danger of shepherding even today that the church can become exclusive and overprotective of itself. Jesus welcomed all and mingled with all seeking to bring about a unity and a way to his Father. His death and resurrection was for all. As shepherd he speaks to us, but do we have the time to listen. Do we set aside time to just open our heart and hear if he has anything to share? After all, is this not what prayer is? Surely we pray and ask for many things, but do we leave our hearts open for words and thoughts from the Spirit to us? Jesus said I know mine and mine know me. How well do we? After Pentecost, when the Spirit was directing the Apostles, and giving them the courage and spark they needed to continue to preach Jesus’ teachings and ‘good news’, they were not very welcomed by the establishment. It seems understandable to me, looking at it from the other side of the fence, that the Jewish leaders did not want to hear about anything that would adapt their beliefs or stir up the people to believe in another God – for that was what the followers of Jesus seemed to them to be doing. So Peter and John were apparently arrested on religious grounds and brought before the men in charge, along with the elders and the scribes. What had them upset was a healing that had taken place, apparently performed by Peter. Their question to Peter is very direct – they want to know what God gave him the power to do this miraculous cure. Peter is quite straightforward in his reply to them. He said that his cure was merely a good deed done to help someone, and it was not his power that achieved the cure, but it was the name of Jesus of Nazareth. But he also used the word Christ to define Jesus – stating boldly that Jesus was the Messiah. Then he quotes Jewish Scripture so that they can see the relationship of Jesus to them and how this was all described in Scripture. He quotes the Psalm that we have been singing the last few weeks – describing Jesus as the cornerstone that had been rejected by the builders – the Messiah that the Jewish leaders had rejected. He then states that Jesus, being the cornerstone of salvation is the one that all Hebrews need to recognize if they want to be saved. This last statement would really upset the Jewish establishment for they felt that because they had a covenant with God, there was nothing else needed. But that covenant, though it promised lots of things, did not promise salvation from sin. The second reading from John’s letter unites us with Jesus because it says that we, too, are children of God, and our inheritance hasn’t yet been revealed to us. It is interesting to note that John expects that we will be like God, seeing God as he is. Some commentators think that John came to this conclusion because in the Old Testament we are told that no one can look at God and live. So, they reason, if we do look at God and live, we have to have been changed in some major way – and that way may be in our resurrected bodies. Just as Jesus had a different type of body after resurrection, so will we, too. The Gospel today is pre-Easter and is once again about the metaphor of Jesus being the good shepherd. We have to remember that shepherding was not considered a great job in Jesus’ day, and that many felt that shepherd’s were low and scum. Perhaps that is why Jesus is not just the shepherd, but the good shepherd. Good shepherds, ones who really takes their jobs seriously, will make sure that nothing happens to their flock, even if they put their own lives in danger. He will be the one that will fight the wolf who is attacking the flock, even if it puts his own life at risk. 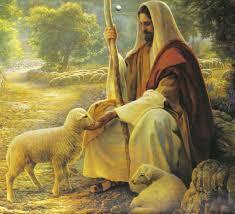 Jesus calls himself the good shepherd in John. He is willing to die for his flock, his followers. And not just this flock, but he says there are other sheep out there, and he must gather them, and bring them into he protectiveness of his flock, until there is only one shepherd and one flock. The other sheep he is referring to are the Gentiles, and his present flock are the Jews. Then Jesus makes it clear that he is fulfilling a plan of God’s, and that he is doing it willingly. There is no plot going on, and he is not being victimized, but is doing this of his own accord and free will, because the Father has asked it of him. In John, Jesus also knows that something awaits after he gives up his life. He doesn’t yet term it resurrection, though he will, but he says: I lay down my life in order to take it up again. And that taking up, seems to refer here to the mission of bringing in the other sheep into the fold of Israel. And this, of course brings us back the first reading because that was what the Apostles were doing throughout the Acts of the Apostles as they opened up Jesus to the non-Jews, the Gentiles. What can we apply to our own lives today? If we are truly following the wishes of Jesus, at least in regards to what we read today, we will continue to try to be examples through the Spirit of what it means to be a good Christian, and allow others to see our light. Not many of us are ready to go door to door or to proclaim on street corners today, but i truly believe in the phrase – They’ll know we are Christians by our love. If in all our dealings, we can be a reflection of Christ, people will see it and be attracted by it. And if the Spirit gives you the courage to invite others to join us, to celebrate with us, all the better. If it is through the name of Jesus that we can be saved, then we need to believe that with our whole heart and soul and act on it. And this is the Good News that we need to reflect on and preach in our daily actions and lives. The history of the relationship between the Jewish people and the early Christian Jews is an interesting and tragic one. We know that Jesus was a devout Jew as were almost all his followers. Yet, by the second century, the Christians had pretty well pulled away from their Jewish roots and made the Jews out to be the villains. It was I suppose somewhat inevitable, especially since the church came to be made up of more Gentiles or non-Jews than of those with Jewish backgrounds. We can certainly see it happening in the Gospel of Luke today. Luke is the only non-Jewish writer in the New Testament and his sympathies throughout his Gospel and certainly in the Acts of the Apostles, his continuation of the Gospel shows signs of this. In the first reading today we have Peter addressing his fellow Jews, trying to convert them. already though in Luke’s description and in the speech he has written for Peter, you can see an I versus them attitude. Peter begins with their common ground – they all have the same God – they share the God of Abraham, Isaac, Jacob and the patriarchs. But then his speech changes to a rather damning “you”… even though he is one of the Jews himself. “You handed over… you rejected…you asked to have a murderer handed over…you killed…” Luke has already had Peter separate himself from his Jewish heritage. Peter tells them that they acted in ignorance. They just didn’t know or didn’t understand what they were doing. That was true. Jesus himself said the same thing on the cross. And Peter rather justifies their ignorance by saying that it was, in fact, a rather good thing, because it allowed God to fulfill what he had promised through the prophets. Peter the hopes that ‘they” will repent so that there sins will be forgiven. The second reading from John picks up this theme of forgiveness of sin and sets up the atonement theology which the Church has understood ever since. Christ was the atoning sacrifice for our sins, in fact, the sins of the whole world. This was the gift of God – that we were forgiven, but it also involves acting on that forgiveness – in gratitude we are to keep the word of God, the twofold command to love God and neighbor – and in doing so, we will know that we are in God. To understand atonement and sacrifice we need to look again at our Jewish heritage when every year an animal would be killed – a scapegoat – representing all our sins and sinfulness – and offering to God. That understanding which was part of the Jewish ritual allowed early Christians to see Jesus as that scapegoat – that lamb – who being sacrificed could take away the sins of the world – something we say three times at every Mass. That is why in the Gospel reading today Jesus makes such a point in teaching the disciples on the road to Emmaus what Jewish scriptures were actually saying. In turn, it tells us why Jewish Scriptures are still so important to us. Jesus, in this reading, speaks particularly about the prophets and the psalms and he taught them how he was the fulfillment of all of the prophecies and of the law. His final words take us back to t he common thread of all three readings which is forgiveness. Jesus says: “Thus it is written, that the Christ is to suffer and to rise from the dead on the third day, and that repentance and forgiveness of sins is to be proclaimed in his name to all nations…” This is what is meant by Good News! I know that in the past some of us have not felt the teachings of the Church were always very good news for us. Like the Pharisees in Jesus’ time, we often get bogged down in detail and add rule upon rule, losing sight of the frighteningly beautiful news that we are forgiven…God forgives us…over and over….over and over. We have only to repent, to try to turn around. We don’t deserve this. It is God’s gift to us, and so we need to give back to God by trying our best to “be perfect as the Father is perfect”. The end result of all this is what Jesus says each time he appears “Peace be with you.” When we know there is unconditional love supporting us, and some of us have seen that in our own parents and in ourselves toward our children, we can feel at peace about ourselves and the world even in troubling times. Too often we forget the Good News, but we can’t let that happen. It needs to be central in our hearts and in our actions. Each week, as you have probably noticed by now, I try to find a way to remind you of the Good News because I feel it is central to our religion and needs to be central in our lives. It brings joy, it brings peace, it brings happiness, it brings hope in a too troubled life. So that is yet another reminder of the good news of the Good News I bring you again his week. In our first reading today we get a description of what was going on in the church not long after the Resurrection event. This reading also takes place after Jesus’ ascension and after Pentecost, so we see a real change in the Apostles. We note that they are quite involved in doing two things, teaching and Eucharist. Both involved what is translated as fellowship, because as I have indicated to you the early Christian church was not a private devotion but was very much communal. Interestingly the work for teaching in the Greek is the same word as for Torah which would indicate that they were teaching from what we now call the Old Testament and putting a “Jesus twist” on it. The Eucharist or what we have come to call the Mass was known as “the breaking of bread”. Bread was the staple of every Jewish household, and since meat was expensive, often he meals contained no meat. So the breaking of bread became synonymous with the whole meal. For example, saying the blessing over the bread meant the blessing of the meal. So again, community was important as they ate together, but this was more than just a meal as it involved prayer, and obviously the memory of the Passover meal before Jesus’ death. The community aspect was also seen in the fact that they held things in common, perhaps what we would call a commune today, sharing resources, and making sure none of the group was in need. They also retained their Jewish faith, something that we often forget, and the early church, according to our reading today “spent much time together in the temple”. There was not a separation of Jew and Christian at this point, but they were a sect of Jews who acted a little differently because of their belief in Jesus. Because of the “wonders and signs” that they were performing, the life style they were leading and the obvious care and concern they had for each other, their numbers started to grow. Now some theologians and historians feel that this is a very technicolored canvas that Luke was writing on, that things probably weren’t as rosy as this reading makes it out to be, and that may be true. We tend to remember what we want to remember and gloss over problems when we are trying to show our good side to people. In any case, the concept of solidarity in teaching, and the need for community in worship and in living were the general principles on which Christianity became based. Christ was indeed the cornerstone as the psalm says today. And note that it wasn’t so much about the worship of Christ but the spread of Jesus’ teachings and living the life he had recommended they lead. St. Peter’s letter today is a little less brightly colored. He does talk about some of the harder things about following Jesus, although he indicates that it is well worth the struggles and that the community rejoices still in the revelations of Christ. He tells us that the early Christians had to suffer various trials, but that suffering could be good. Just as we put gold through fire to rid it of its impurities, so too, the Christian suffers to get to that pure, holy, sacred place in our lives. Peter is writing a few years after the ascension and the Christians he is writing to had apparently never seen Jesus in his lifetime, and they were taking this on faith. Peter is very impressed that their faith has made them so loving, so joyous because they seem to have really understood the message of salvation. Peter has obviously done a good job teaching them. This idea of belief without sight is again highlighted in our Gospel reading today which takes us back to the time immediately after the Resurrection when the Apostles were terribly confused, did not know what repercussions the Resurrection might bring, fearful of the Jewish group that was anti-Jesus, and in fact, not at all sure whether the stories they were hearing of Jesus’ rising from the dead were actually true. Their confusion ceases when Jesus appears to them in the room though the doors were locked. They recognized the wounds from his crucifixion and were convinced that their Lord had been raised and returned to them. Jesus wishes them “Peace”, a traditional greeting but a meaningful one in the context of their fear. In this version of the story by John, Jesus mandates the forgiveness of sins as something that the Apostles could do through the work of the Holy Spirit. He creates on them – the first confirmation! The John returns to the idea that faith is more than seeing is believing. The apostle Thomas had not been in the room that day for some reason. When he came back – from shopping perhaps – and was told that Jesus had appeared, he didn’t believe them. He wanted to see for himself, through his sensual experience that this was really Jesus and not some figment of their imagination. Jesus makes a return visit and shows Thomas his wounds, even asking Thomas to touch them and see the reality of it. Thomas, of course, does, but the oft quoted line of Jesus comes right after: Blessed are those who have not seen and yet have come to believe. This line is, of course, very important, because as time would march on, and the eye witnesses all died, everyone at that point would have to come to faith and belief without seeing for themselves the physical body of Jesus. Other things may have taken the place of that for a few – healings, witnessing of love, being filled with the Spirit – but Jesus has told them that their belief, without seeing, makes them more blessed than Thomas and the Apostles. So what Jesus is talking about today, my friends, is us. We are the generations who have come to believe without the proof of our senses. Why do we believe and so many others don’t? Some of us were born to families who believe, and so it was part of our upbringing perhaps. Some of us have studied and read and have come to belief, but in all cases it was with the help of the Spirit. I don’t think we can accept all this just by ourselves. I think the Spirit has gifted us with that ability to believe. Not that we never question, but that deep down we see the truth and the light and the beauty that Jesus’ teaching have opened up for us. Let us today thank God for our blessings, especially the blessing of our belief. This is indeed Good News, and we need to celebrate it as often as we can!